1 Bedroom/Queen, 2 foldaway singles+ double-air-bed/stdH, 1 Bathrm with Sep W/C. Why settle for 5 stars when you can have them all. Drink in the most beautiful city in the world from a penthouse vantage in the 11th arrondissement of central Paris. Elegant and serene, this fully equipped modern retreat including internet access/wi-fi, is but steps away from Le Villaret, best restaurant in Paris as voted by Le Petit Lebey (Guides to Bistros & Restaurants). Situated 5 minutes from the Metro Oberkampf, direct line to Eurostar at the Gare du Nord, between Place Republic and the new Opera at the Bastille (line 5), as well as Metro Parmentier (Line 3), the location also brings to your doorstep the sights and sounds of the famous bi-weekly farmers market on the Boulevard Richard Lenoir. Built in gym (5-floor walk-up! ), chef's kitchen, sensuous sleeping loft, beautifully appointed. Ideal for that romantic 'Paris a Deux'. The apartment is centrally located within Paris city centre and is within walking distance of the Picasso museum, the Place des Vosges, the new Opera at Bastille and Pere Lachaise Cemetery where Oscar Wilde rests with many other famous names, the proximity of 2 Metros - Oberkampf & Parmentier makes the rest of the city easily accessible as well. The kitchen area is approximately 8ft x 10ft, with modern units a gas hob and combined convection-air-micro-wave oven and under-counter refrigerator, 6ft high casement -window south facing, table and chairs, 2 bar stools, peach/beige paint work, flooring - beige ceramic tiles. The living room is L-shaped, slightly larger than kitchen with 1 x 6ft window south facing, 2 x 6ft windows west facing, with leather sofa, 2 large sofa-type chairs, writing desk and chair, paintings, drawings, objets. Bathroom - full sized bath, hand shower, basin/mirror, chest of drawers, hanging cupboard. The Queen bed is above the bathroom, mezzanine/open plan with velux sky-light/window. Foldaway single 'Z-beds' x 2, or double standard-height airbed/sitting room. Toilet is separate to the bathroom, just inside entrance to apartment with opening east facing window. Flat has been refurbished with oak-framed double glazing. The total floor area is 48 sq meters, which may seem small to Americans/English, but is typically French, more spacious than most & with far more light. ... the light is fabulous! combination tub/shower, W/C separate to bathroom. Kitchen area approx 8ft x 10ft, modern units with gas hob, combined convection-air-micro-wave oven, under-counter refrigerator, 6ft high casement-window south facing, café size table and chairs, bar with 2 stools, peach/beige paint work, flooring beige ceramic tiles. Living room L-shaped, slightly larger than kitchen, 1 x 6 ft window south facing, 2 x 6 ft windows west facing, leather sofa, 2 large sofa-type chairs, writing desk and chair, paintings, drawings, objects. Bathroom - full sized bath, hand shower, basin/mirror, chest of drawers, hanging cupboard. The bedroom with double bed is above the bathroom and open plan. The apartment may seem small to North Americans/English but is nevertheless typically French and is more spacious, with far more light than most. A lovely apartment in a great location not to far from Place De la Bastille. There are plenty of shops and places to eat near by plus great access to the Metro for getting around Paris. We thoroughly enjoyed our stay in Paris. We enjoyed our stay very much. Great location, about 20 minute walk from Place de la Bastille. Two metro stations nearby and close to shops and restaurants. Plus a lot more room than a hotel! Stairs to the top landing for sleeping are a bit steep but fine if you are careful. Apartment nicely decorated. We would re-book this place on a return trip to Paris. We wanted a base in an interesting Paris area and found it in Dianne's apartment. The apartment ticked all the boxes being spacious, well appointed and decorated. We settled into a routine easily using the local stores and market daily. Exploring further afield was easy either on foot or by train/bus. Would not hesitate to use again, and recommend the apartment to anybody wanting to avoid a small sterile hotel. 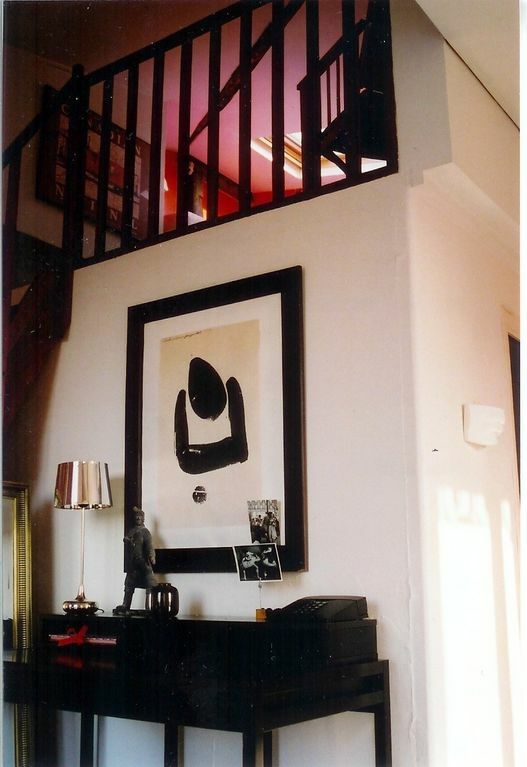 Learn to love Paris in this terrific apartment in a great neighborhood! While the apartment is small and the stairs (five flights) may not be for everyone, you can't beat the location and the vibe of this typical Parisian flat in a handy neighborhood! I lived in a similar Paris flat for a few months years ago, so trust me when I say this is a true "get to know Paris" place to stay. We are a family of four, but the apartment worked well for us despite its size. Easy access to Metro line, wonderful shops and restaurants and cafes literally right downstairs! The street market that is held one block away will spoil you with access to the freshest fruits and veggies as well as seafood and meats! Dianne was easy to work with and genuinely cared about our check-in and overall experience. She communicated constantly and gave us plenty of helpful neighborhood hints in terms of places and processes. We had great weather and sleeping with the windows open and the cool Paris night air coming through made it very restful. This apartment is immaculate! Super clean & great linens! Well-stocked for everything! We absolutely loved this location! There are restaurants, bakeries, fresh produce, & mini-marts everywhere. It has the perfect balance of locals & tourists, & is very convenient for the subway which can get you anywhere in Paris within 15 - 20 minutes! Dianne is a pleasure to work with & provides ample information! We would love to stay here again! This quaint apartment exceeded our expectations in every way & is quite spacious for Paris! Five minutes from metro Oberkampf, direct line to Eurostar at the Gare du Nord, between Place Republic and the new Opera at the Bastille, near Marais, Place des Vosges, Picasso Museum, Pompidou. A 25% non-refundable deposit required on booking. Payable with the balance, is a security deposit against damage, of Euros 220 per week. Daily rate £85 for two people. Weekly rate £545 for two people. Supplement additional occupancy(variable). Monthly rates by quotation. Christmas/New Year's supplement.